A biomarker is an indicator of a disease or of a physiological state. Why do we need to find more biomarkers? 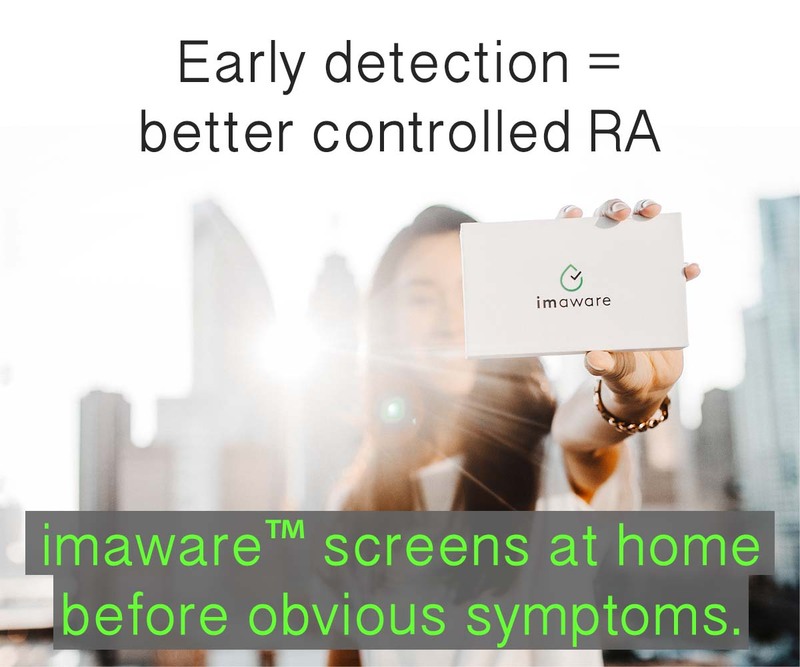 Finding the ultimate biomarker for Rheumatoid Arthritis / Rheumatoid Disease is like a proverbial pot of gold at then end of a rainbow – except there’s no rainbow. If there is one essential biomarker, that could lead to tests that indicate who has the disease and how active it is, while providing clues to a cure. Meanwhile, people living with Rheumatoid Disease (PRD) suffer long delays in diagnosis and difficulties obtaining adequate treatment. Rheumatoid Disease (RD) is so heterogeneous that it’s likely there is not one biomarker, but several. I think that’s the mistake someone made with naming the first antibody associated with Rheumatoid “The Rheumatoid Factor” – they assumed it was the only one. An immune-mediated disease like RD may also manifest different symptoms in individuals because their immune systems are unique. For treatment, I think it may also be useful to identify subtypes of RD, and biomarkers would be extremely valuable in that. So, the race is on to find either the best biomarker or the best combination of biomarkers for RD. 2) European researchers have been studying four candidate biomarkers (UH-RA.1, UH-RA.9, UH-RA.14 and UH-RA.21) that combine into one biomarker panel to help identify early RA. The study of about 300 people with Rheumatoid Disease (PRD) enabled the investigators to identify some patients who were otherwise seronegative: “Importantly, our biomarkers enabled the identification of 26% of the RF-negative ACCP-negative subpopulation, thereby closing the serological gap from 24% to 17% in this study population.” That means about 7% more PRD could be identified by adding this biomarker panel to the usual Rf and anti-CCP. 3) The LITHE-biomarker study of 585 PRD treated with tocilizumab (Actemra) found “Baseline C1M levels correlated with worsening joint structure over one year. Serum C1M levels may enable identification of those RA patients that are in most need of aggressive treatment.” C1M is considered a biomarker of tissue destruction because it is present in type I collagen degradation. POSTBLOG: Some of the new biomarkers correlate with CRP and others such as Vectra are somewhat CRP-determined. It is important to find biomarkers that are independent of those that are currently available. One study showed that at least in some patients, the 14-3-3η identified disease activity in CRP-negative PRD. Just as with treatments, patients and doctors should both refrain from assuming that “one size fits all” with biomarker testing. It’s more like a rainbow after all. 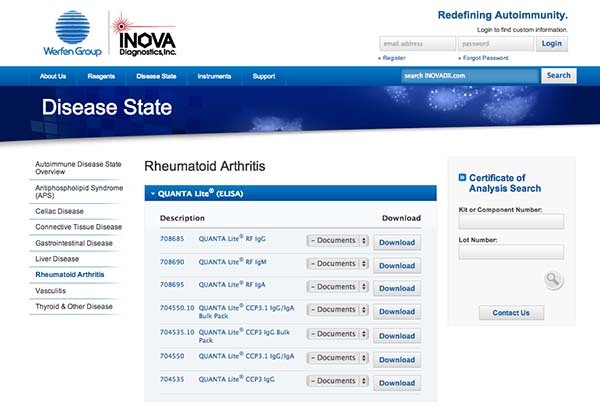 IMAGE: a screenshot of the menu at INOVA Diagnostics. 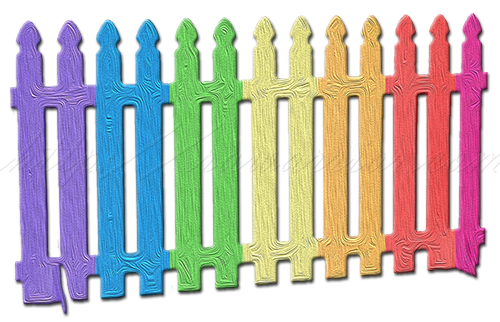 Imagine instead of two types of tests for RD, an entire rainbow of tests to fit individual patients. ← Blood Tests for Rheumatoid Arthritis: What Is Their Role? This is awesome news. They need more. My rheumatologist has always said to me that even though my tests come back negative most of the time he doesn’t believe that my disease process has stopped. He says that he doesn’t believe in complete remission at this stage of the game in medicine. He just believes that what happens is we have improved symptom management. It would be nice to be able to confirm that theory with some testing. I am one of those people who are waiting on a diagnosis in order to get aggressive treatment. It has been more than 3 years, 4 failed DMARDS, many X-Rays, an MRI, and 2 Rheumatologists because my blood work is negative but clearly something is immune related is going on. And waiting for more damage just isn’t acceptable to me. I am currently waiting on the results from my 14-3-3 test that my GP ordered for me. I sure hope it will help lead to a clear diagnosis. And if it does, I sure hope my Rheumatologist is open to accepting it. Keep trying Tisha. Diagnosis or aggressive treatment “theoretically” does not require a blood test, but many docs do practice that way. Have they tried combination of dmards already? No combinations yet, just one at a time. I have tried MTX (9 months of increasing dose with no improvement) and sulfasalazine (allergic). My fatigue levels improved on Arava, but my joints got worse. I am now trying Plaquenil with nothing good to say after 3 months. I have lost all the gains I made with the Arava. At this point if I can’t try something new I want to go back to Arava. Would Arava just be combined with MTX or could it be combined with something else? Yes it can be, or added to the plaq. Working on a blog post about combination therapy -will be up soon. Btw on my phone- just now figured out it’s u. Thank you Kelly! I rely on you for updates on new research and drugs. Thank you for your amazing work! As I understand it, past studies have looked for correlations between DNA variations and occurrence of RD, but the correlations have presumably been inadequate (else why would anyone look to epigenetics?) This latest study looked instead for correlations between methylated DNA variations and occurrence of RD. (Wikipedia has a technical article that tries to explain DNA methylation.) As far as I can tell from the study, they seem to have found four genes that, when all become methylated, the person gets RD. My own, possibly ignorant, speculation is assuming the research is correct, one could check whether a person has those points on the their DNA methylated. If all four markers exist, they have the disease. If they don’t, they suffer from something else. What I also find intriguing is that since those four methyl groups are likely stopping production of at least 4 proteins, if there were a way to supplement an RD patient’s cells or blood with one or more of those proteins the disease should halt. Likewise, if one could demethylate one or more of those DNA sites, one should also be able to halt the disease. I am not a biochemist and don’t play one on TV, so the above should be taken as one layman’s interpretation and speculation. After many years of stumped Dr.’s, I found a rheumatologist who promptly diagnosed me with sero-negative RA by using the Vectra test. The bio markers have also helped direct which biologics will work best for me. Now that the test is covered by my insurance we use it to track my disease progression. 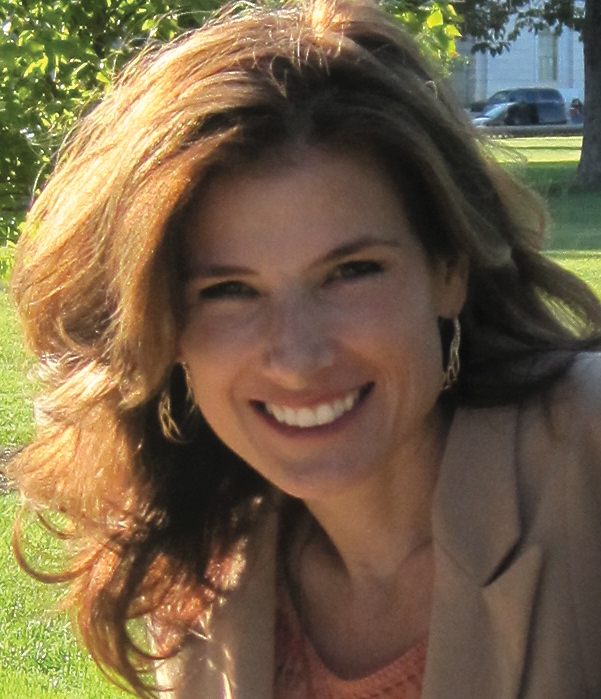 What an amazing advancement for those who do not fit the positive factor mold! 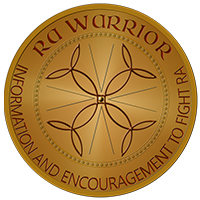 I was diagnosed with RA in August 2013. My rheumatologist diagnosed me by my symptoms. There was not a marker in my blood. Recently, I had another blood test, and a marker still is not showing up. Now he is not positive that I have RA, but says I definitely have inflammatory arthritis of some sort going on. I’m 35. RA runs in my moms mothers side of the family. My grandmother was diagnosed at age 26. The symptoms my dr used to diagnose me are the fever I’ve been running for at least a year, the inflammation in my body is 5 times higher than it should be, I have pain in multiple joints all over my body, I’ve had issues with anemia and fatigue, he could see the inflammation in my finger joints using ultrasound, and I’ve had an MRI on my left hand that showed arthritis in my joints. There just isn’t the marker showing up in my blood. It’s really frustrating not being completely positive that I have RA. I would rather have a definite diagnosis. He is treating it like it is RA. Are there any other tests or genetic tests I could ask him about that might confirm the RA diagnosis? My doctor is diagnosing me with RA based on a positive anti-MCV. My RF and anti-CCP were both negative. It was part of the Avise test.